Abode Srl. Our official blog. Everything Italian and more. Italian Real Estate is our business. : Restoring luxury property in Umbria, grand idea! 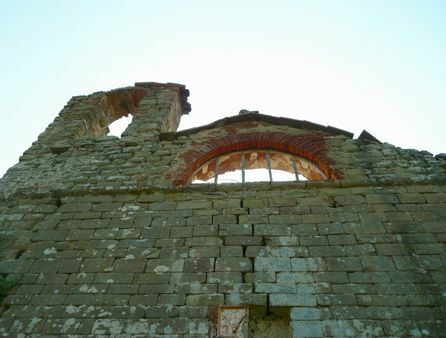 Many different things prompt British people to buy and restore a dilapidated property in Italy. There's the pleasure of getting something at a comparatively low price; there's the satisfaction of bringing the place back from the dead; there's the hope of profit in selling on a beautiful restoration or renting it to holidaymakers; and there's the desire to swap a stressful working life in the UK for a perceived simpler one in rural Umbria. Whatever the motivation, restoring an old building in a foreign country can be a trying experience, taking over your life for a while. Loving care and highly sensitive restorations are even of greater importance when it comes to a historical property like an 11th century castle! If you are looking for a villa, casale or a farmhouse to restore in Italy, as well as historical buildings and castels close to Medieval and Renaissance towns or immersed in the Italian countryside, we provide an incredible range of properties you can choose from. Anyhow a grand undertaking deserves a grand final use and when you have completed the retoration of your Italian property, you can put it on the market for sale, you can rent it out, or make it your second home abroad. If you choose the latter you will see how Umbria's charm will seep indelibly into your life! Realise today your dream of purchasing a property in Umbria with Abode, and tomorrow you may discover that you have made an excellent investment!